(CNN) - Mexico has firmly rejected US President Donald Trump's accusations of lax efforts to stop illegal migration over the Mexican-US border, saying in a statement Monday that it does not promote such activity under any circumstances. Mexico's foreign ministry issued the statement after Trump spent Sunday and Monday tweeting against Mexico's efforts, referencing an immigrant caravan heading towards the United States. A 1,100-strong migrant caravan assembled by the group Pueblo Sin Fronteras (People without Borders), is currently moving north through Mexico. Organizers say the primary goal of the caravan's participants is to "flee Central America" and seek asylum either within Mexico or the United States. In its statement, the Mexican Foreign Ministry said the caravan is mainly made up of people from Guatemala, Honduras and El Salvador and that around 400 caravan participants who did not enter the country of Mexico lawfully had been repatriated to their countries of origin "with the strict legal framework." 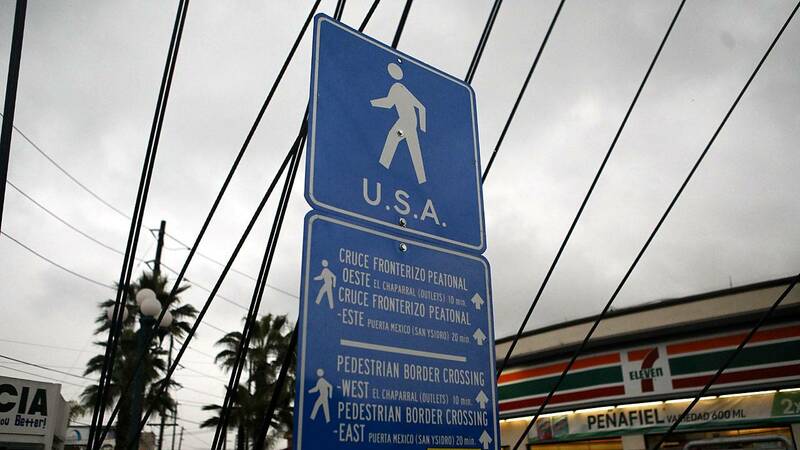 "Under no circumstance does the government of Mexico promote illegal migration," it said. The ministry said the circumstances of the caravan differed from those of previous years in that "the Mexican immigration authorities have proceeded to offer refuge in some cases, as well as other necessary protective measures." Mexico "does not make immigration decisions for the United States or any other nation," the statement said, adding that the respective authorities "will decide whether to authorize or not the entry of those who are part of the caravan." Trump earlier appeared to blame Mexico for illegal immigration to the US. "Mexico is doing very little, if not NOTHING, at stopping people from flowing into Mexico through their Southern Border, and then into the U.S. They laugh at our dumb immigration laws. They must stop the big drug and people flows, or I will stop their cash cow, NAFTA. NEED WALL!," Trump tweeted Sunday. "Mexico has the absolute power not to let these large 'Caravans' of people enter their country. They must stop them at their Northern Border, which they can do because their border laws work, not allow them to pass through into our country, which has no effective border laws," he continued on Monday, slightly more favorably to Mexico, adding later, "Mexico is making a fortune on NAFTA...They have very strong border laws - ours are pathetic." Pueblo Sin Fronteras said they would not respond to Trump's tweet Sunday, but stated that the refugee caravan "is a movement made of people who were forced to flee their countries of origin due to persecution and violence." The migration of Mexicans into the US has been declining for years, with more Mexicans leaving the US than arriving. But the journey for Central Americans fleeing violence and poverty in their home countries to sneak into the US or seek asylum there goes squarely through Mexico, which has caused the US and Mexican governments in recent years to try to stop more of the migrants before they reach the US. Once they arrive at the US border, migrants can legally claim they qualify for asylum and, if they meet the threshold credibility test, they can pursue their claims in a court process that usually takes years to complete, during which time many can live and work in the US. In the past two years, Mexico has lagged behind the US in apprehensions, but Migration Policy Institute President Andrew Selee, an expert on Mexican policy, said that could be due to a number of factors including smugglers successfully changing their routes to avoid detection or relations with Trump. Even a recent Department of Homeland Security study concluded this fall that "available data indicate that the southwest land border is more difficult to illegally cross today than ever before." Meantime the President of Mexico said Monday that the government will continue to work with the US in a, "proactive and cordial spirit during negotiations and mutual respect." Enrique Peña Nieto was responding to reporters in Mexico City who asked, "What about Trump?" It was not clear exactly what the reporters were asking about, after the US President criticized Mexico regarding a range of issues including migration and NAFTA over the Easter weekend. The President wasn't asked about Mexican migration but did say regarding NAFTA that he continues to look for a resolution that will, ''benefit the development of the three countries (Mexico, the US and Canada) that are negotiating with NAFTA."